Last Thursday Sally and I had lunch at the Remedy Diner, where my sandwich was the Tempeh Tantrum, then went to a gallery to to look at paintings by Nicole White Kennedy. 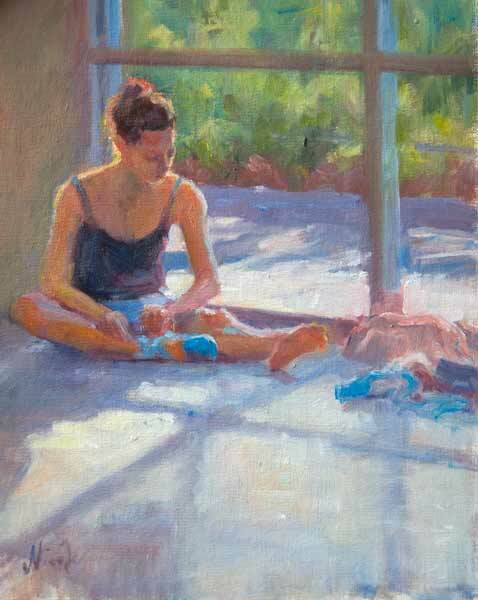 Kennedy, a local artist, paints in an Impressionist/Post Impressionist style that I once thought of as old hat. My early art education stressed the triumph of modernism and abstraction. But over the years I’ve really enjoyed Kennedy’s landscapes and cityscapes in her husband’s fine Italian restaurant, Caffe Luna. I’ve gradually gotten past my prejudice in favor of the modernist aesthetic. Artists show us multiple ways to see the world, and it’s fun to try different ones. Anyhow, I was intrigued to learn that Kennedy had worked up a show of works featuring dancers from the Carolina Ballet. We really liked the show. 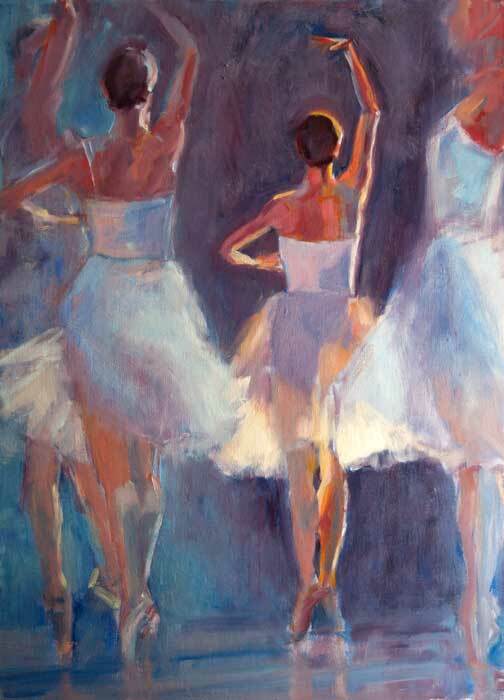 No doubt it helped that we came to it as balletomanes, and that we could recognize some of our favorite ballerinas. But she unquestionably had a feel for the interiors and exteriors of the dancers and their work places. I was conscious that the works owed a debt to Degas, both in their behind-the-scenes intimacy and the juxtaposition of ethereal sweetness and stark angularity, but I didn’t find this bothersome. Artists always borrow ideas from other artists and build on them, just like scientists and inventors. We were particularly touched by the paintings above and just below, and bought them. The next day I flew up to DC for a gathering at the Supreme Court in honor of my old friend Justice Elena Kagan, which was highly nostalgic and which I will try to write about soon. But as post-election therapy, I’m focusing just now on art. With my free morning I sampled the Smithsonian museums, which always make me proud and happy to live in the USA. 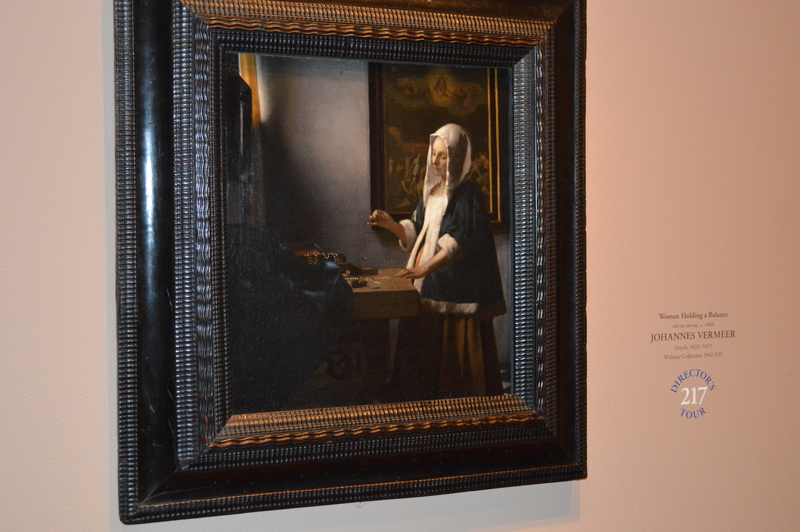 First I visited some of my favorite works at the National Gallery. These included the Rembrandts and other Dutch masters, including especially the two exquisite Vermeers, as well as the French Impressionists. 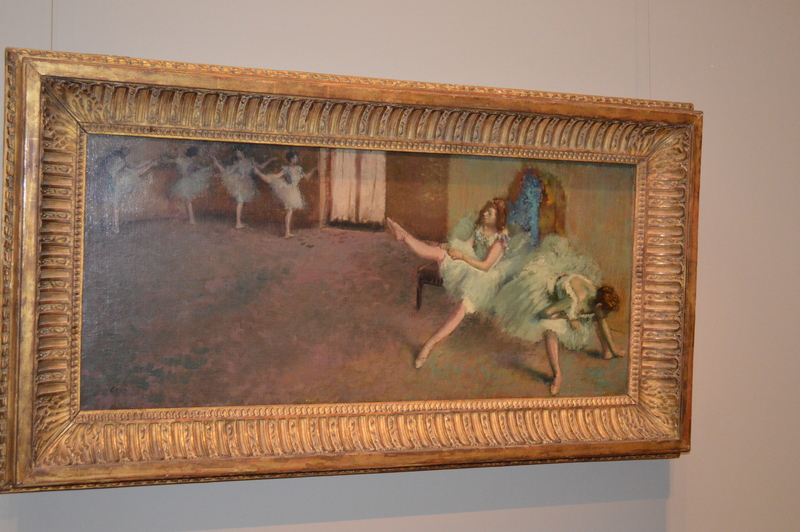 Still thinking about dancers and art, I paid particular attention to the Degas paintings and sculptures of dancers. He clearly loved the subject, and it touched me. But I must say, his dancers are not as lithe and athletic as the Carolna Ballet ones. 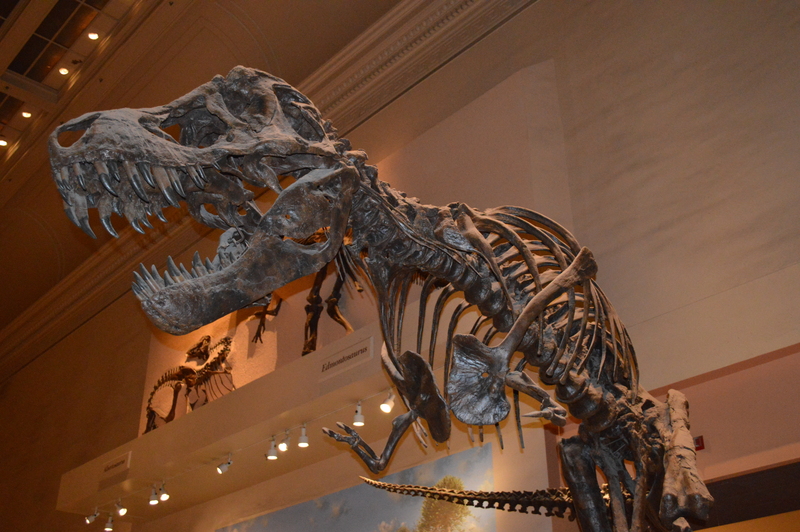 Next, I walked down the Mall to the Museum of Natural History. 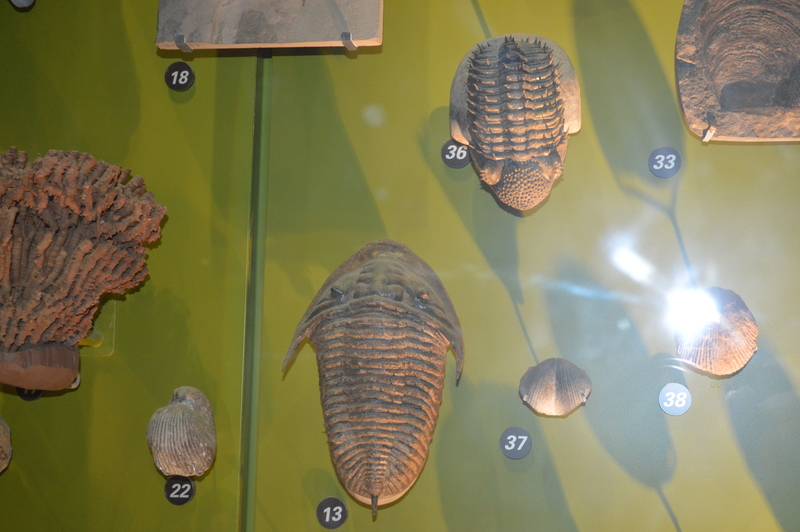 As always, I enjoyed looking at the dinosaur fossils, but I wanted to have a close look at the trilobites, which are much much older than dinosaurs. Trilobites were marine arthropods that began their run around 520 million years ago. They developed an amazing variety of body types during the 270 million years (give or take) that preceded their extinction. RIP. Nature has done a lot of amazing experiments! I returned to Raleigh on Sunday afternoon in time to go to the recital of my piano teacher, Olga Kleiankina. Her program, like her, was Russian: Alexandr Scriabin (1872-1915), Nikolai Medtner (1880-1951), and Sergai Rachmaninoff (1973-43). She played brilliantly. She’d told me a couple of weeks ago that she was struggling with memorizing the Medtner piece (the Tempest Sonata), and I was feeling a little anxious for her, but she seemed completely in command. The piece was very dense, and at first I was a bit bewildered, but then I got my bearings. I particularly enjoyed the Scriabin Black Mass sonata. From our work together, I know how intensely she focuses on sound colors, and now that I’ve learned to hear some of those things, the music took on a new dimension. There was a good piece on the Sunday NY Times about the sense of hearing, and the difference between hearing and listening. According to Seth Horowitz, we react to auditory signals 10 times faster than visual ones. Hearing is an early warning system, among other things. He notes that close listening is hard in a world where there are endless distractions, but that we can get better at it. I concur.